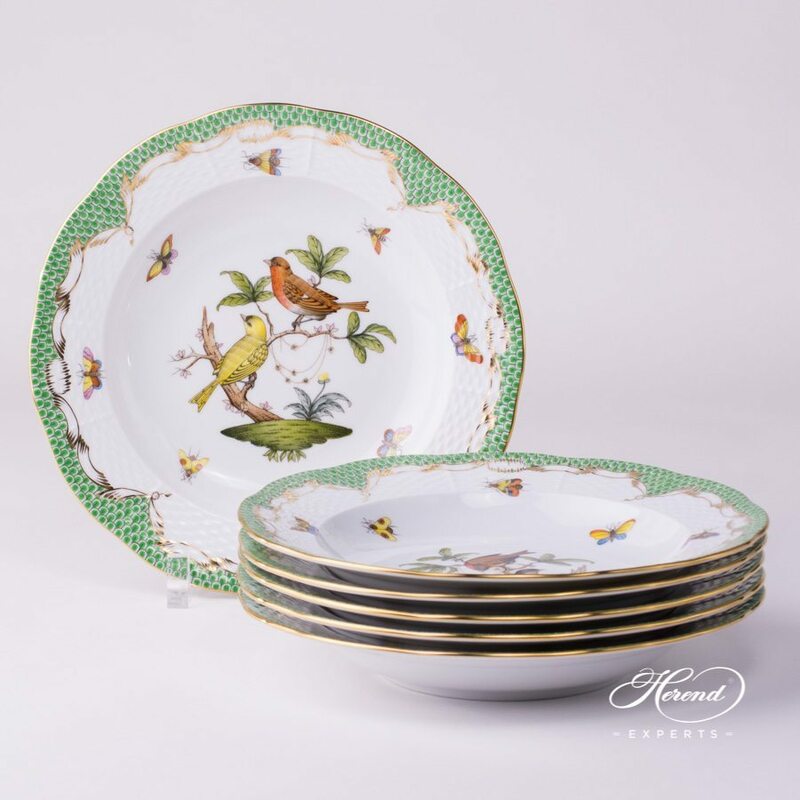 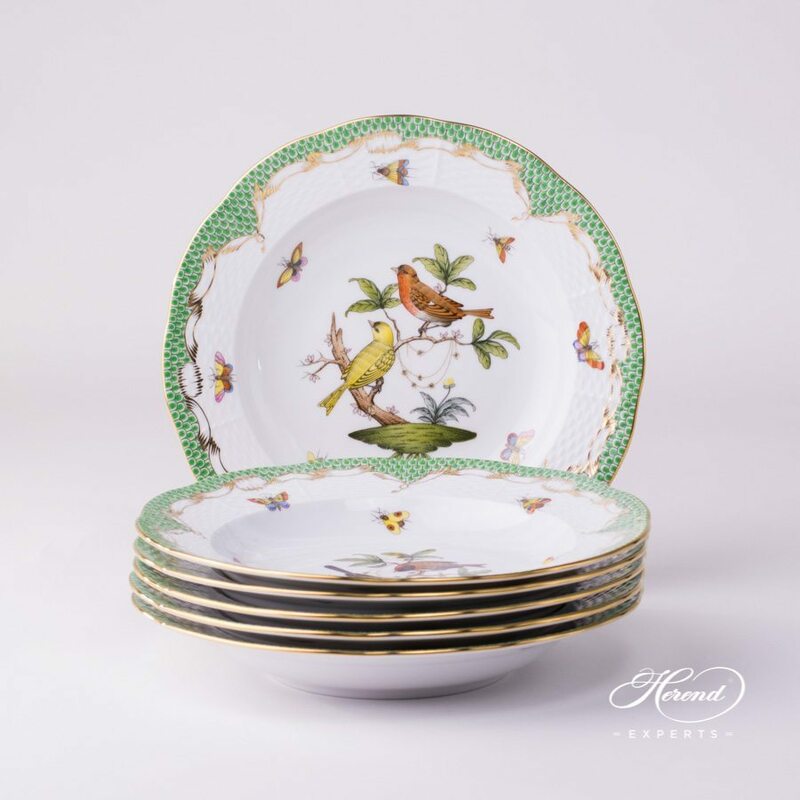 Herend porcelain Soup Plate - 6 pieces - Herend Rothschild Bird Green Fish scale design. 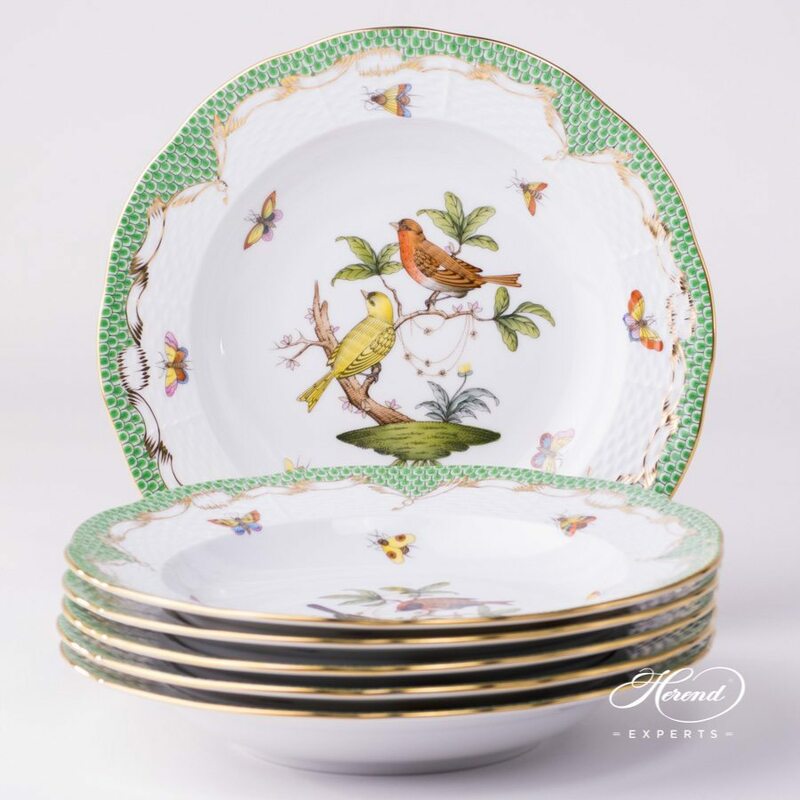 We offer this practical Soup Plate for all Rothschild Bird Dinner Sets. 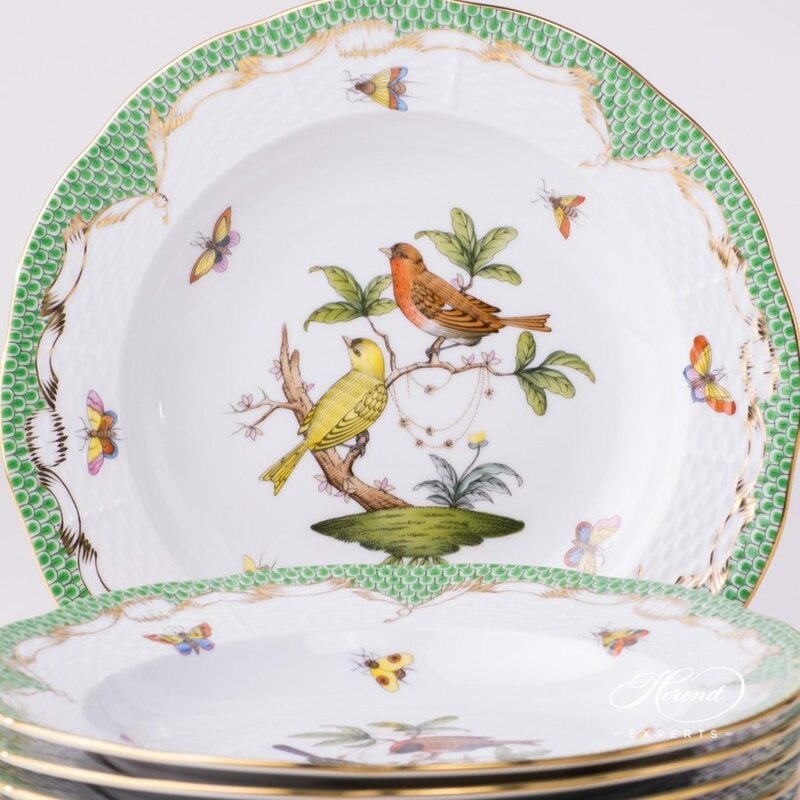 This pattern is painted with the famous Rothschild Bird design with Green Fish scale.